“Reinert marks a giant step forward. Taking the spotlight as a solo act to forge your own path takes patience, courage and grace. 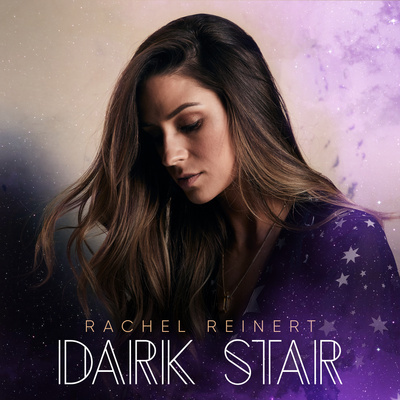 Rachel Reinert proves she encompasses all three as she enters the next stage of her musical journey with a renewed sense of self. She’s a Nashville trailblazer that’s ready to break barriers again, only this time she’s at the forefront. Upon inking a publishing deal with an independent publisher, ​Rachel moved to Nashville at just 16-years-old. ​Reinert then worked on developing her songwriting chops, but things weren’t advancing as fast as she would have liked from a career standpoint. Just two weeks from leaving Tennessee – and her dream – to head back home, Rachel received the life-changing call concerning Gloriana. "I knew It was an amazing opportunity,” she recalls of her 8 years in the group, "But I'd always envisioned myself as a solo artist – that’s where my heart really was. I knew the time would come when I would feel my journey with the band had come to an end, I just didn't know when." When she joined Gloriana at 18-years-old, the country group shot to the top with instant hits, like “Wild At Heart,” and the platinum-selling “(Kissed You) Good Night.” Gloriana won an Academy of Country Music award for Top New Vocal Group, an American Music Awards award for Breakthrough Artist of the Year, toured as a hand-picked opening act with Taylor Swift, and performed with Rascal Flatts, Sheryl Crow, Jason Aldean, Alan Jackson, and Zac Brown Band. In 2015, after almost a decade with the band, that moment came. Rachel knew that if she was ever going to fulfill her life’s ambitions, it was time. She rolled the dice, walking away from Gloriana and the team behind her to begin her journey of becoming the solo artist she knew she was meant to be. With a full album in the works, Rachel is ready to re-introduce herself to the musical world with a refreshed sense of vigor, passion and gratitude.